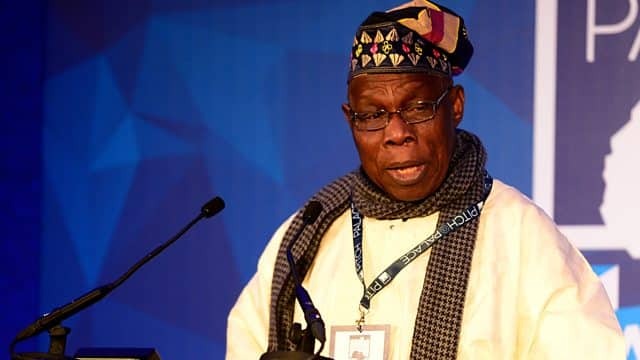 The Coalition of United Political Parties (CUPP) has commended former Nigerian president, Olusegun Obasanjo, on the world press conference he held on Sunday, January 20. The political parties said they agreed with the former president of Nigeria, Olusegun Obasanjo, on the issues he raised on President Muhammadu Buhari, Yemi Osinbajo and the Independent National Electoral Commission (INEC). The first national spokesperson of CUPP, Imo Ugochinyere, said the group agreed with all issues raised by the former president during the conference. Ugochinyere said: “CUPP agrees with all the issues raised in former President Obasanjo’s world press conference. “For 2019 election to be free and fair, that separate accreditation and separate voting method used in 2015 election must be retained. “Accreditation figures must be announced and recorded before voting starts." Legit.ng earlier reported that the presidency, late Sunday, January 20, replied former President Olusegun Obasanjo over his attack on Muhammadu Buhari in a state of the nation address in which he accused the latter of plotting to rig the 2019 presidential election. A statement signed by a presidential spokesperson, Garba Shehu, asked Chief Obasanjo to “get well soon” after claiming the former president needed a good doctor to take care of him.